Founded in the spring of 2013, the Office of Outreach and Engagement is a hub for community engagement and outreach activities at the University of Iowa and a central clearinghouse for communities across Iowa to connect with campus. We administer community-engaged learning in courses across campus. We support and actively participate in community-based research by faculty and students. We support university/community engagement activities through marketing and promotion. The office develops projects and activities that address community priorities while engaging faculty and students in high-impact, real-world experiences. This draws stronger connections between the university and the state, advancing the university's enduring commitment to building mutually beneficial partnerships. These partnerships enable the office to address Iowa's economic, environmental, and socio-cultural challenges in ways that build a more sustainable future for the state, and more successful futures for our students. Learn about hundreds of opportunities to connect with University of Iowa outreach and engagement activities in the UI Program Directory. To be a catalyst for innovative teaching, learning, and research at the university, transforming communities throughout Iowa, and preparing students to be global citizens. To grow mutually beneficial partnerships and enhance curricular efforts by connecting faculty, staff, and student resources of the University to people and places across Iowa to positively impact community issues and opportunities. Although the Office of Outreach and Engagement is relatively new in the history of the university, the University of Iowa has a long and proud tradition of serving the public through civic engagement. Faculty, staff, and students have long worked with communities across Iowa, the nation, and world to enhance educational opportunities and improve people’s lives. Many of the buildings on campus are named after individuals who were deeply committed to serving the public good, including Thomas MacBride, of MacBride Hall. MacBride was a renowned professor of natural science whose work in the field of botanical studies carried well beyond the classroom walls to help shape many environmental and geological projects across Iowa. In addition, MacBride developed the Iowa Lakeside Laboratory in 1909, a lab that still stands today and provides valuable educational opportunities for students, and community engagement opportunities for Iowa. Today, the University of Iowa’s commitment to community outreach and engagement is strong. 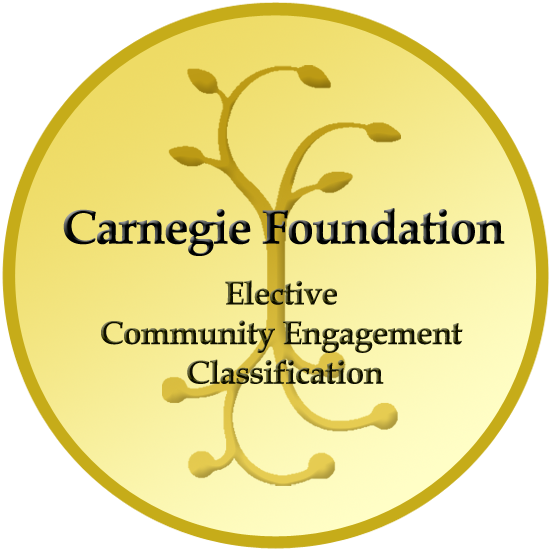 In 2015, the University of Iowa was honored to be selected by The Carnegie Foundation to receive the Community Engagement Classification. This award signifies the university’s continual commitment and institutionalized practices of community engagement that align with our mission, culture, leadership, resources, and practices.